Hotels are important and indispensible asset for any country today. Even one of us has had the experience of staying in a hotel. Purposes can be many, be it a family vacation or a business trip. Some are cheap and some way too expensive. Some may even cost more that your house for one single night. We have come up with a list of the top 10 biggest luxury hotel chains in the world. Have a look. InterContinental Hotels Group is ranked as the biggest hotel company in the world housing over 646,000 rooms in over 45,000 hotels in over 100 countries across the globe. The inception of the group dates back to 1777 when William Bass founded Bass Brewery. The brewery business was sub branched into small hotel business. However the modern company was not founded until 2003. Brands linked to the group include Holiday Inn, Holiday Inn Express, Candlewood Suites, Hotel Indigo and Staybridge Suites etc. It also franchises around 4,000 of its hotels. Marriott International sparked with a small idea. It was founded in Washington DC in the summer 1927 when J. Willard Marriott opened a root beer stand only to sell drinks for people suffering the scorching heat. They later expanded to a chain of restaurants and hotels. 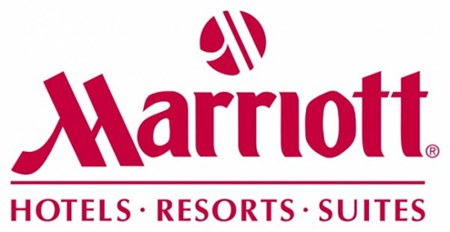 Marriott International was however formed in 1993 with the split of Marriott Corp. Today the company has almost 4,000 properties in 74 countries in the world. Some of its brands include JW Marriott Hotels and Resorts, the Ritz-Carlton and Bulgari Hotels and Resorts. Hilton Worldwide started with a single hotel in Cisco, Texas. Built by Conrad Hilton it was named The Mobley. The company never looked back since then. 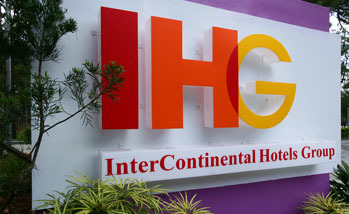 The international branch was bought and rebranded several times before the Hilton Group was finalized. As a result of the confusion faced, both the local and International Hilton groups agreed to adopt the same logos, promote each other and never compete with each other. Today the group has over 642,000 rooms in 3,897 hotels in 91 countries across the globe. Various brand names associated with include Waldorf Astoria Hotels and Resorts, Conrad Hotels and Resorts, Embassy Suite Hotels and Hampton Inn. Paul Dubrule and Gerard Pelisson set up their first US-style hotel in Lille, Northern France in the 1960s. It was two decades after when the company bought out the Jacques Borel International and renamed it as the Accor Group. The group knows no full stop and has been expanding in the whole of US. It has Motel 6 and the Westin Hotels and Red Roof Inn chains but was later resold due to some reasons. They also opened casinos in the 1990s. Today it has the most number of economy- to high-class hotels in France and over 1,600 properties under its brand all over the world. A US real estate investment firm, Starwood Capital wanted to take advantage of a tax break as a result of which Starwood Lodging was formed. It could own several hotels in the US under different brand names. It was after 2005, the company linked itself with various brands like Westin, Sheraton, the Luxury Collection, W Hotels and St. Regis. The Royal Penthouse Suite, at Hotel President Wilson in Geneva, Switzerland which is a part of the Luxury Collection has been voted as one of the most expensive hotel suites in the world costing US$65,000 per night. Wyndham Hotel Group that was founded in 1981 in Dallas, Texas, by Trammell Crow was originally named as Wyndham Hotel Corp. The group saw a great expansion during the 1990’s with hotels like Summerfield Hotel Corp being added to its list. By the end of the decade it got into trouble of over expansion. It had to land on a $1-billion restructuring plan from 1999 to 2004 and sold hotels it could no longer afford to run. The Blackstone Group bought Wyndham International in 2005 and included brands like Baymont Inn & Suites, Microtel Inns and Travelodge. Hyatt Hotels, headquartered in the US has over 490 hotels around the world. A few of its brands include luxury brand, Park Hyatt; upscale locale-inspired properties, the Andaz; large urban center hotels, Grand Hyatt; for convention attendees or business travelers, Hyatt Regency; ideal for families and business travelers, Hyatt Place, residential-style hotels and upscale properties, Hyatt House; and Hyatt Resorts and the Hyatt Vacation Club. The Rezidor Hotel Group is known to be the world’s first designer hotel. It was inaugurated in 1960 in Copenhagen with the name Rezidor SAS. However, in 2001 it was renamed as Rezidor SAS Hospitality prior to its expansion to include a variety of brands like Radisson, Radisson Blu, Country Inns & Suites, Hotel Missoni, Park Inn and Park Plaza. The company went public in 2006 and again renamed it as Rezidor Hotel Group. Today, it is the ninth largest hotel group in the world with over 1,319 hotels with 209,000 rooms in 81 countries around the world. Choice Hotels International was founded in 1939 in Maryland as Quality Courts United. The hotel was renamed after the fusion of three economy hotel chains in 1990. Choice Hotels today has 7,000 hotels nationwide under its brands. Some of them include Ascend Collection, Cambria Suites, Clarion Hotels, Comfort Inn, Comfort Suites, Econo Lodge, Mainstay Suites, Quality Inn/Hotel, Rodeway Inn, Sleep Inn and Suburban Extended Stay Hotel. Home Inn is first and largest budget hotel chain in China, with the slogan “Your home away from home”. Founded by Ji Qui in 2001, the hotel kept n expanding. In 2007 it purchased Top Star and with that the hotel chain count came up to 250. It also has plans on expanding to other Asian countries. 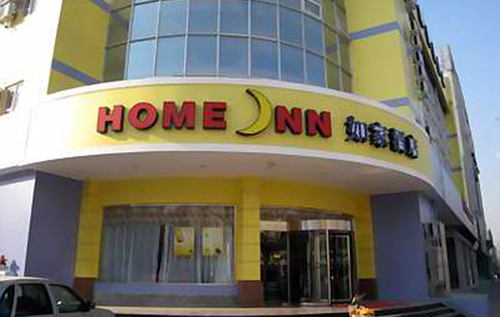 Home Inns is headquartered at Xuhui District in Shanghai.